Creating original music for picture and podcast has become one of my favorite creative outlets. Films I've scored have been released by Univision, The New Yorker, Pivot, National Geographic, and more. Below are some of my favorites, along with a few score excerpts. This film was commissioned by The New Yorker and made by directors Riley Hooper and Noah Wagner. In my score I attempted to create the feeling of a live band side stage at a theater, playing to the action as it happens. On these recordings I played all the instruments and sang. Director Riley Hooper's initial creative direction to me for this film was to make 'underwater gospel' music. We had a lot of fun finding ways to make the score feel watery while also tracing the arc of Vivian's struggles and victories. These recordings feature Jake Sherman playing piano and Sara Lucas singing. This is a podcast that was produced during the 2016 presidential campaign. For this episode I made all the music (other than the main theme). In 2014 I had the great joy of collaborating with Michael George on his Portrait of a Pilgrim project, which was later released by National Geographic both in print and online. I contributed in a few ways, including writing music to accompany two films contained within the galleries. For this clip, I wanted to express the underlying contrast between the hikers in the video, who appear modern and normal, with the weighty spiritual and historical significance contained in this route. I worked with violist Rebekah Durham and vocalist Gabriel Gall on this music; the words are a passage from a 12th century latin text concerning the Camino. 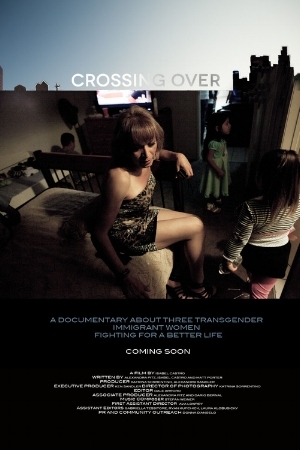 In 2015 I scored the feature length documentary film Crossing Over, which was released internationally by Univision and Pivot. It tells the story of three Mexican transgender women who live in Los Angeles. One of the biggest challenges director Isabel Castro gave me was to create a 1970's Mexican power ballad sound-alike, to play over the radio in an apartment scene. I ended up hiring a few friends to help: Zoe Mendelson wrote lyrics, Nick Hakim sang, and Raphael Peterson played some instruments and helped me with the mix. This is one of the things I am proudest of in life...'Desde Ayer'. In 2016 I worked with Director Ben Stamper on his feature length documentary film Follow the Sound of my Voice. It follows an autistic boy as he climbs Mt. Kilimanjaro with his family. I loved working on this film; Ben gave me a lot of artistic freedom and I was able to be very texturally experimental and symbolic in my composing. In general, I tried to emphasize some of the underlying tension lurking under the surface of this family, juxtaposed against the grandeur of their environment and their attempts to unite through their journey. Here are a few excerpts from the score. I played/sang all the sounds for these.